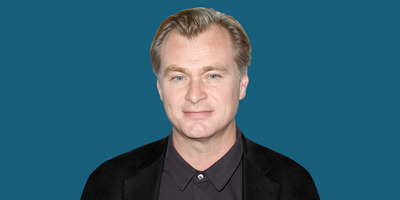 Samantha Lee, Business Insider/GettyChristopher Nolan. From instant classics like “Memento” and “Inception,” to his flawless “The Dark Knight” trilogy, director Christopher Nolan has spent his career telling unique stories while pushing the medium. 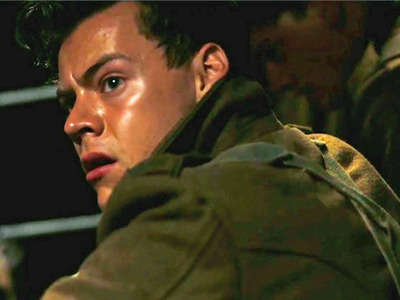 And for his latest movie, “Dunkirk” (opening July 21), he’s pushed it further than most ever have. In typical Nolan fashion, he goes beyond the norms to depict the events. Filmed with little dialogue and a non-liner story, powered by the ticking clock score of composer Hans Zimmer, it’s the incredible images filmed on an IMAX camera that move the story. Jason Guerrasio: One of the big things I took away from the movie was how intimate the setting and characters were compared to the subject matter and the IMAX format. I hope that reaction doesn’t disappoint you. Nolan: Well, the tension between subjective storytelling and sort of the bigger picture is always a challenge in any film, particularly when you’re taking on, which I never have done before, historical reality. So I really wanted to be on that beach with those guys. I wanted the audience to feel like they are there. But I also need them and want them to understand what an incredible story this is. I never wanted to cut out generals in rooms pushing things around on maps, so I settled on a land, sea, and air approach. I settled on subjective storytelling shifting between very different points of view. You’re there on the beach with the soldiers, you’re on a civilian boat coming across to help, or you’re in the cockpit of the Spitfire dogfighting with the enemy up above. Guerrasio: That’s what’s crazy, though the story is told on a huge IMAX screen, the shots from inside the cockpit of the Spitfire feel claustrophobic. Nolan: What I love about IMAX is with its extraordinary resolution and colour reproduction it’s a very rich image with incredible detail. It lends itself wonderfully to huge shots with much in the frame. Thousands of extras and all the rest. But it also lends itself to the intimate, the small, the detail, incredibly well. The high aspect ratio on those screens, you’re getting the roof of the set, the water creeping in from the bottom, you can get a very tactile sense of the situation we’re trying to present. Guerrasio: You’ve done more with an IMAX camera on this movie than anyone has yet, is there something you will never try to attempt again with this equipment in a future movie? Nolan: No. I think in truth the only real limitation for me of those cameras is we haven’t found a way to make them sufficiently soundproof to record dialogue. For other filmmakers this wouldn’t be a problem, but I personally really like to use the dialogue that’s recorded live on set. I don’t like to ADR [additional dialogue replacement] things. I think you lose something in the performance. So that means that any time there’s a really intimate dialogue scene, I need to use another format. 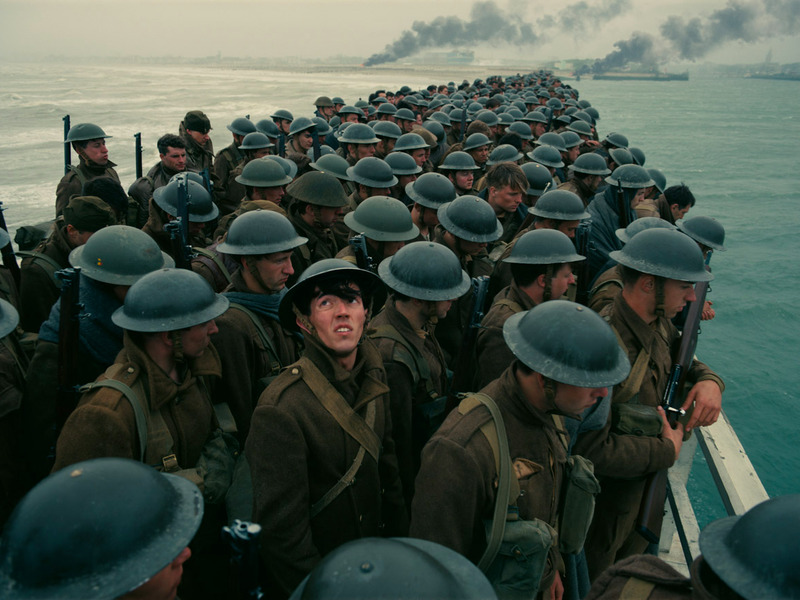 In this case, for “Dunkirk,” we used 5 perf-65mm. So our kind of smaller format was the format “Lawrence of Arabia” was shot on. Guerrasio: What is your approach to editing? It’s important for every filmmaker but your stories are often told in a unique way where editing really must be a high priority. Do you edit while shooting? Nolan: My approach to the edit is I have a great editor in Lee Smith who I have worked with for years, he edits as we go along. He assembles the film. I tend not to look at any of that. I don’t cut while I’m shooting. I’m too busy shooting. I watch dailies every day the old fashioned way, which I’m surprised so few filmmakers do anymore. It used to be a requirement of the job. But we project our dailies on film everyday and we sit there and talk about what we’ve done and sort of steer the ship. Lee goes ahead and edits but I tend not to look at those cuts unless there’s a problem. If he sees a problem and thinks we’ve missed something at that point I’ll go in and look at stuff. But generally what I do is I wait until filming has finished and then we get into the edit suite and start again from scratch. We view all the data and we start building it up from the beginning. Nolan: The aerial sequences were particularly challenging because the reality of aerial sequences is they are tremendous eye candy. You watch the dailies you just want to use everything. But you have to be constantly aware in the edit that story drives everything for an audience. And if there isn’t a new story point being made you have to be disciplined, so in the aerial sequences we were throwing away some of the most incredible aerial footage that I’ve ever seen and not putting it in the film because that’s what you have to do. You have to trust that with what you are putting in there you are going to convey that sense of visceral excitement and wonderment that you felt in the dailies. That’s always a challenge and it takes a long time to hone the whole thing down from a longer cut to a shorter cut. Guerrasio: I couldn’t tell what was visual effects and what was practical in this movie, particularly the sinking destroyers and dogfights. How much visual effects were used? Nolan: I’m very proud with the visual effects being as seamless as they are. I worked very closely with my visual effects supervisor, who was there shooting with me on set. He basically was doing himself out of a job because he was able to help me achieve things in-camera that would have actually been visual effects and then didn’t need to be. So, there’s really nothing in the film that isn’t in some way based in some kind of practical reality that we put in front of the camera. We didn’t want anything to go fully CG and I’m very proud to be able to say that of my films this is the first time when we’ve been able to make a film that I actually can’t remember which of the shots are visual effects and which aren’t in some of the sequences. We’ve never been able to get to that point before. 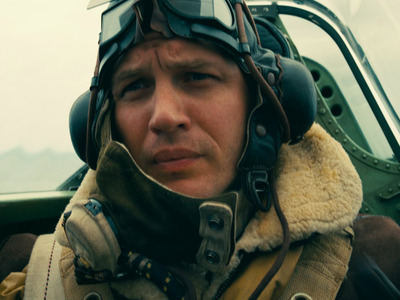 Nolan: Yeah, we built a full size replica Spitfire and landed it on the water for real. And we actually strapped an IMAX camera to it for the crash and the thing sank much more quickly than we anticipated, because you never know, no one has done this before. And in the hours it took to retrieve the IMAX camera its housing, which was a big plastic barrel, actually had a hole in it and the entire thing filled with water. So the camera was completely submerged. But we called the lab and they clued us into an old fashioned technique that used to be used on film shoots. You keep the film wet, you unload the camera, and you keep it damp the whole time. We shipped it back to Los Angeles from the set in France, and they processed it before drying it out and the shot came out absolutely perfect and it’s in the film. 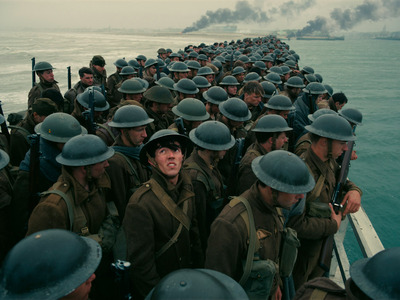 Nolan: The screenplay had been written according to musical principals. There’s an audio illusion, if you will, in music called a “Shepard tone” and with my composer David Julyan on “The Prestige” we explored that and based a lot of the score around that. And it’s an illusion where there’s a continuing ascension of tone. It’s a corkscrew effect. It’s always going up and up and up but it never goes outside of its range. And I wrote the script according to that principle. I interwove the three timelines in such a way that there’s a continual feeling of intensity. Increasing intensity. So I wanted to build the music on similar mathematical principals. Very early on I sent Hans a recording that I made of a watch that I own with a particularly insistent ticking and we started to build the track out of that sound and then working from that sound we built the music as we built the picture cut. So there’s a fusion of music and sound effects and picture that we’ve never been able to achieve before. Guerrasio: You certainly gained your auteur status some time ago, but you also manned a huge Hollywood franchise, I want your perspective on today’s blockbuster making. Has the director’s voice been lost in today’s blockbuster? It seems producers like Kathleen Kennedy at Lucasfilm and Kevin Feige at Marvel Studios are making all the creative moves. Nolan: I think the Hollywood machine as an industrial process, there’s always been a tension between art and commerce in Hollywood filmmaking, so the machine itself is often looking for ways to depersonalize the process so that it is more predictable as an economic model. But in truth, thankfully for directors it never works. [Laughs] Not long term. The director is, I think, the closest thing to the all-around filmmaker on set. You need a point of focus, a creative point of focus, through which the rest of the team’s input can be focused on and I think the director is the best person suited to do that. At the end of the day, I think directors have always been absolutely driving the creative process. Guerrasio: But the argument can be made that currently the producers on particular tentpole projects are the creative point of focus and they then hire a crew, including a director, who will follow that vision. I’m sure you had to listen to your share of notes from Warner Bros. while making your Batman movies, could you make a franchise movie in today’s conditions? Nolan: I think those conditions are being overstated. Like, everyone talking about “Star Wars” as an example are wilfully ignoring what J.J. Abrams did in the process. Which isn’t appropriate, J.J. is a very powerful creator. Not to mention, George Lucas, by the way. [Laughs] I mean, there is a bigger reality here in terms of where these things actually come from. Guerrasio: Obviously, there’s always the originator. Which, thankfully, is an individual and not something done by committee. Nolan: Well, and I don’t think anybody thought that Jon Favreau was doing a sensible thing by casting Robert Downey Jr. as Iron Man, but what an incredible decision he made. There’s an entire industry based on that now. Guerrasio: Very true. And we can pivot that a little to you casting Harry Styles. Many were scratching their heads about that casting and I think many will see you’ve really discovered a talent. Do you pat yourself on the back with this one or was it casting director magic? Nolan: Oh, I’m very much patting myself on the back. [Laughs] Well, I’m the guy who is always taking it on the chin if I make the wrong decision. The truth is ever since I cast Heath Ledger as The Joker and raised all kinds of eyebrows, I’ve recognised that this is my responsibility and I really have to spot the potential in somebody who hasn’t done a particular thing before. Because whether you’re taking about Harry Styles or Mark Rylance you don’t really want to cast them in a position where they are doing something they have already done. You want to give the audience something different. So you’re looking at their talent and how that can be used. The truth is, Harry auditioned for our casting director, he sent the tape along. The casting director rightly pointed out how good it was. We threw him into the mix with many, many other young men and he earned his seat at the table over a series of very hard-fought auditions. Guerrasio: He’s very good in the movie. 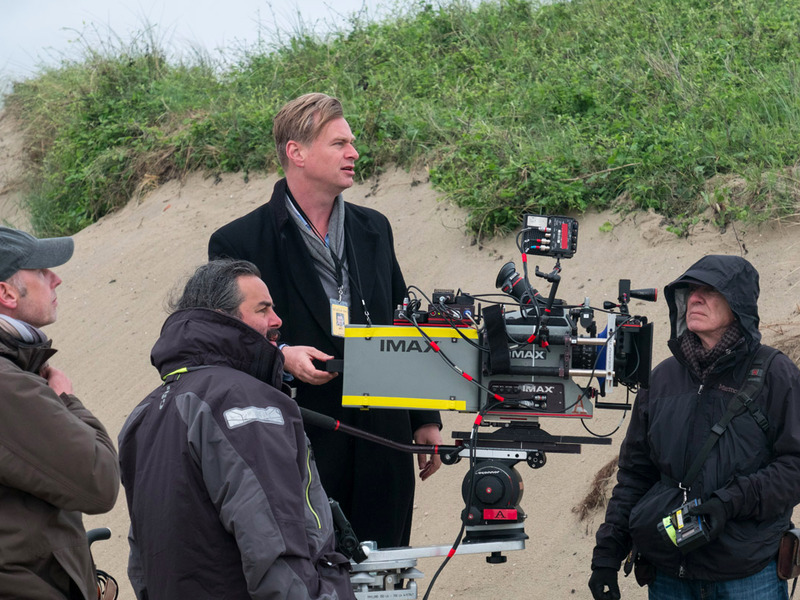 Nolan: I’m very excited for people to see what he has done in the film. I think it’s truthful and it’s a very tough role he’s playing, too. Nolan: I do when I’m not working. It depends on what phase I’m working. Obviously, this year I’ve been very buried in my own process. But in between films I absolutely try to catch up on everything. Guerrasio: When’s the last time you’ve laughed uncontrollably while watching a movie. Nolan: Oh, there are many, but I’m trying to think if there’s a recent. You know, I’ve been outed in the past as a “MacGruber” fan and I have to say there are a couple of moments in that film that had been howling uncontrollably. Nolan: [Laughs] I’m not going to go any further!